I have been reading with great amusement, all the public outcry from the POD people, who are seeking to create another mountain out of a mole hill. At this point and time, with our economy teetering on the brink of recovery. The state and the people of the 41st were not willing to let that parcel stay unoccupied and fallow that used to be the Vlasic Pickle Plant. Allen Harim came forward with an idea, and a plan. Deals were made and bargains struck to get jobs for the 41st. I believe that whatever the arrangements were, for the existing contamination to be dealt with, they were worth it in the form of the economic impact the building, and operation of a plant would bring to the 41st. Allen and Harim were not going to make anything that exists there now any worse, so why all the “ hub-bub “. Now on to DENREC. I have had the displeasure of dealing with them on the supply side and the discharge side for going on 20 plus years. That experience has led me to describe them as either: the beast, and or the seven headed hydra. In relation to them being the beast, it is because they always have a hidden agenda and are very patient, and very subtle in getting what they want. When talking about the hydra it refers to cutting off one head, and another grows right back. It also describes the condition where one head does not know what the other heads are doing. Possum Point residents are crying about the impact on the Columbia aquifer and rallying against the perceived evil. They should heed this warning “ be careful what you wish for”. DNREC is in the process of implementing the most prohibitive and restrictive water well and septic regulations on the peninsula. When the new septic regs are approved, most of the septic systems in Possum Point will be in non compliance. The great majority of water wells in Possum Point do not meet the minimum standards for 1986, let alone what is coming. So the hidden agenda is that the more noise the residents make, it will only hasten the implementation of a new sanitary sewer district, and central water being provided by a private company. Both of those infrastructure items will put a huge quarterly bill in the pockets of the residents, and the plant will still go through to production, with all the residents concerns having been addressed. If you want to get in on the fight, it is important that you know what the real agenda is. 5 Comments on "Guest Post From Water Pirate"
WP, I just drove through that area yesterday and was thinking, I wonder how many of the people who actually live around that plant are working against it. That is a very depressed area, it isn’t until you get a little further out that you find the developments that you would expect the activist to be living in. Allen and Harim should wallpaper that community with job applications and then see who supports them coming into the neighborhood. Do not let appearances fool you. Although it looks depressed the property values are not. PP is just the next area that started out as a fishing camp, turned into year round residences, and now the property value will soon support mcmansions. I wonder also how many real residents are up in arms, or is it just another salvo by the pod to try and gain traction and credibility. The IPoD is using this for publicity. The article posted by two IPoDers at that other blog has been edited several times without any corrections posted and comments that the authors made that are incorrect are disappearing. They are making claims with no proof, saying they spoke with people who were not at the hearing, and changing their story daily. wp – Possum Point is an area that DNREC is targeting because they still use cesspools, not septic systems, but actual cesspools. Cesspools take whatever you flush or pour down the drain, and put it right in the ground. When the new DNREC septic regulations go into effect, residents in PP with cesspools will have a year to replace their cesspool with a septic system, and because of the proximity of Possum Point to the inland bays, they will most likely require high efficiency septic systems that filter the water to potable before it goes into the ground. I would add to your laundry list numerous wells that are recorded at a depth of 20′, and a slew of them that do not meet the setback of 100′ from said pool. Sooooo the real issue is not that thing that knowone can pronounce, but good ole ……….. The 50 or so Possum Point cesspools contribute more pollution to the river than Vlasic ever has. 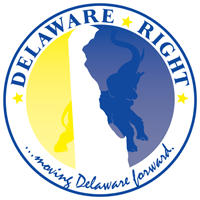 ← Is This What Passes For An Indepenedent Investigation In Delaware?